Great news for Wayne. Glad to see the Referee selection process working as advertised a few months back. The International Rugby Board has announced the appointment of match officials for the inaugural Rugby Championship, which begins on August 18. Appointments were made by the IRB Match Official Selection Committee following a detailed review of performances during the recent June tours and Tests. The IRB’s commitment to promoting consistency by enabling movement in and out of the group and rewarding referees who are in form is reflected in the selection of eight match officials with Wayne Barnes (RFU) returning following a strong showing in the IRB Pacific Nations Cup. The referees are: Alain Rolland (IRFU), Steve Walsh (ARU), Nigel Owens (WRU), Romain Poite (FFR), Wayne Barnes (RFU), George Clancy (IRFU), Jaco Peyper (SARU) and Craig Joubert (SARU). The referees will also undertake assistant referee duties alongside a group of up-and-coming referees who have earned their place owing to their performances in recent Tests and at the IRB Junior World Championship in South Africa. Rolland will make history when he takes charge of the first match of The Rugby Championship between Australia and New Zealand at the ANZ Stadium, Sydney on August 18. On the same day Walsh will also make history when he referees Argentina’s first match in a major annual Tier 1 competition when the Pumas face South Africa at Newlands in Cape Town. Away from The Rugby Championship, Rugby World Cup 2011 Final referee Joubert will take charge of the third Bledisloe Cup match on October 20. Chris Pollock (NZRU) was unavailable for consideration owing to hip surgery. 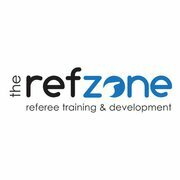 The new selection system allows for movement in and out of the panel based on form and rewards the top performers and young referees who have graduated through the performance pathway ahead of Rugby World Cup 2015 in England. The International Rugby Board and its Member Unions have sanctioned a global trial of five aspects of Law amendments following an extensive process of consultation and evaluation. The trial, approved by the IRB Council at its Annual Meeting in Dublin on Tuesday, will commence at the start of the next season in each hemisphere (August 2012 in the north and January 2013 in the south) and will be applicable to both international and domestic competition. Aspects of Law approved for trial include limiting the time that the ball is available at the back of a ruck and the positioning of taking a quick throw-in. In addition to the suite of seven Laws approved for global trial, three additional trials will operate during 2012. A trial extension of the jurisdiction of the Television Match Official will be introduced later this year, while the number of nominated replacements in Test Rugby will be increased to eight for a trial in the November window. The global trial has been sanctioned after an unprecedented evaluation process that kicked off with submissions and recommendations for 20 potential amendments from Member Unions and has culminated with recent trials of amendments to seven aspects of Law as a package at dedicated playing environments in Cambridge and Stellenbosch. This evaluation process is in line with the remit of the Laws Amendment Process approved by the IRB Council in December 2009. Unlike previous amendment processes, the process of selection, monitoring and evaluation has been steered by an independent Laws Representative Group, comprising technical representatives from each of the 10 Tier 1 Unions covering elite and community Rugby and representatives of the IRB Rugby Committee. Extensive evaluation of the Cambridge and Stellenbosch University trials undertaken earlier this year determined that each of the seven amendments could have a positive effect on the Game or clarify existing areas of Law and therefore a recommendation was made to the IRB Council via the IRB Rugby Committee to approve a global trial of all seven amendments. 1. Law 16.7 (Ruck): The ball has to be used within five seconds of it being made available at the back of a ruck with a warning from the referee to “use it”. Sanction – Scrum. 1. A trial to extend the jurisdiction of the TMO to incidents within the field of play that have led to the scoring of a try and foul play in the field of play to take place at an appropriate elite competition in order that a protocol can be developed for the November 2012 Tests. 2. A trial has been sanctioned for the November 2012 Test window permitting international teams to nominate up to eight replacements in the match day squad for Test matches. In line with current practice at domestic elite Rugby level, the additional player must be a qualified front row player. 3. An amendment to Law 3.4 (Sevens Variation) to enable Sevens teams to nominate up to five replacements/substitutes. Under the revision, which will operate from June 1 2012, a team may substitute or replace up to five players during a match. Approval has been granted on player welfare grounds to recognise the additional demands on players and squads owing to the expansion of the HSBC Sevens World Series where there are three blocks of three events on consecutive weekends. Council also approved the referral by the Laws Representative Group of one potential Law amendment that was successfully trialled at Cambridge and Stellenbosch for further consideration by the specialist Scrum Steering Group (overseeing scrum force project) to be considered alongside the ongoing review of the scrum. The amendment that will be considered by the Group relates to the engagement sequence and will see the referee call “crouch” then “touch”. The front rows crouch then touch and using outside arm each prop touches the point of the opposing prop’s outside shoulder. The props then withdraw their arms. The referee will then call “set” when the front rows are ready. The front rows may then set the scrum. “We have a collective responsibility to ensure that the Game is as enjoyable to play, officiate and watch as possible at every level while player welfare is of paramount importance,” said IRB Chairman Bernard Lapasset. “The global trials are not fait accompli. It is essential at the end of the global trial process that decisions made are in the best interest of Rugby worldwide,” added Lapasset. Thoughts? Will they work? What about the delay to the scrum engagement change? IRB Clarification – scoring a try? Following a kick ahead, the ball goes over the goal line and whilst it is still up in the air, a player places his hand on it and grounds it. However, before this player grounds the ball, his feet are in touch. • Whether the situation, as described above, is equivalent to “carrying the ball”. • If a player is not carrying the ball then Law 22.4 (g) applies – Player in touch or touch-in-goal. If an attacking player is in touch or in touch-in- goal, the player can score a try by grounding the ball in the opponents’ in-goal provided the player is not carrying the ball. 3. Law 22.4 (g) only applies if the ball is on the ground. Speaking to the IRB comms chief Chris Rea today (care of www.irb.com) John Jeffrey, acting chair of the referees selection committee gives some interesting insight. 1) 8 strong aspiring panel for junior world cup in South Africa announced including: JP Doyle and Greg Garner (RFU), Leighton Hodges (WRU), Glenn Jackson (NZRFU), Angus Gardner (ARU), Francisco Pastrana (ARG), Lourens van der Merwe (SARFU), Mathieu Reynal (FFR). Congrats to all, especially JP who is a good friend having got onto the RFU Panel at the same time. 3) Paddy O’Brien requested to stand down from his XVs role and then was found his 7s role.